22 Michaels: Now Hiring an Associate Product Manager! As our business continues to grow we're looking to add an Associate Product Manager to our product management team, to work with Todd to boost the website conversion rate. You not only live and breathe Shoes of Prey’s culture and values, you’ve contributed to growing and developing them. People on the team (especially the Engineers) enjoy spending time with you and are fighting to be able to work closely with you. You've managed the design life-cycle, from brainstorm to deploy, for at least a dozen major features and initiatives. You've become the first person everyone goes to with a suggestion for a great idea, an urgent request to push an issue forward, or advice on how to approach a new project. You've become the "go-to" person, but have also mastered the ability to say "no". You have a clear vision for how to grow the company, but also the ability to articulate it effectively to others. Shoes of Prey features one of the best shoe design/mass-customisation experiences on the Internet. With such a bright group of engineers, creative copywriters and graphic artists, marketing specialists, and shoe crafters behind this website, there is much you can learn by starting or continuing your product management career with us. solid interpersonal skills and a team player mentality You earn your authority and lead by influence. You are respected as a leader by colleagues in the absence of formal authority. technical aptitude and background You don't need to know how code, but you do need to be able to convey complex, technical product requirements to engineers, and then translate these complicated details to non-technical colleagues. strong organisational and analytical skills You have a persistent attention to detail and a problem-solving mindset that allows you to make sense and order out of complex, open-ended projects/assignments. insightful product instincts and creativity When you suggest a new approach that nobody on the team has thought of, it immediately strikes everyone as an obvious solution. enthusiasm for technology or e-commerce We are on a mission to change the way that women shop for shoes. A passion for fashion and/or women's shoes is a plus, but not a requirement. university graduate with a business or engineering degree (or both!) One to two years of work experience in a related field is a plus, but not a requirement. The position will pay between $45K - $50K, including super, bonus, and stock options. As with all roles at Shoes of Prey, lunch + snacks + shoes are of course included! The role will be based in our Surry Hills office and will report to the current product manager, Todd Osborne. 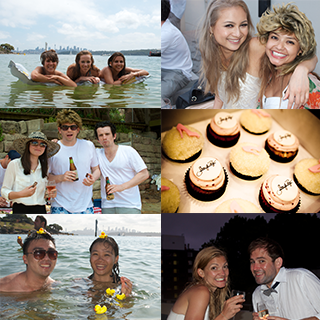 The attached pictures are from a recent Shoes of Prey beach party.